I wasn't sure whether to post this in support or general, and decided on general as it's not a support request as such. I've noticed that when I log in to this forum on my iPhone, the default skin is white and has small controls and is quite fiddly, as in the screenshot below. If I select the option in Safari to request the desktop site, I initially get an error page (the details of which I can no longer remember, but I think it's due to the site redirecting to a URL with "nomobile" in it, which presumably does not exist on the server). After a while it goes back to the white skin and I have to repeat the process, presumably because there is a cookie storing the skin selection which times out. 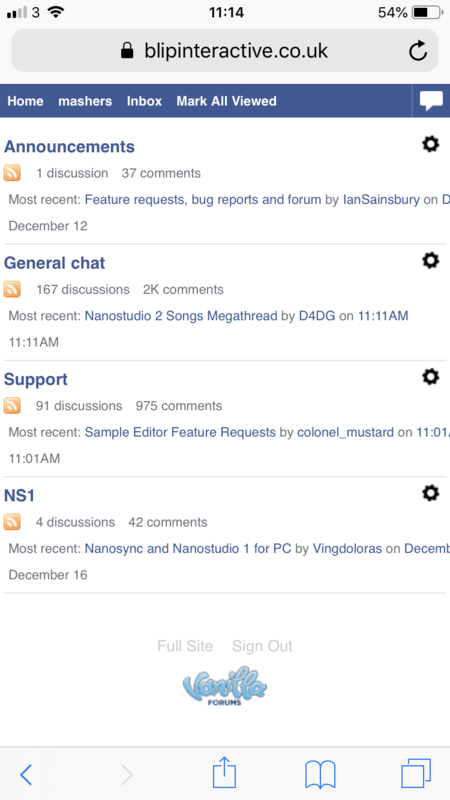 If possible, could the forum be configured to load the more modern-looking mobile skin by default, or remember the user's selection more persistently? (either with a cookie with the longest possible timeout, or by storing something in the user's profile). I realise this isn't a priority and the focus is on NS2 itself. 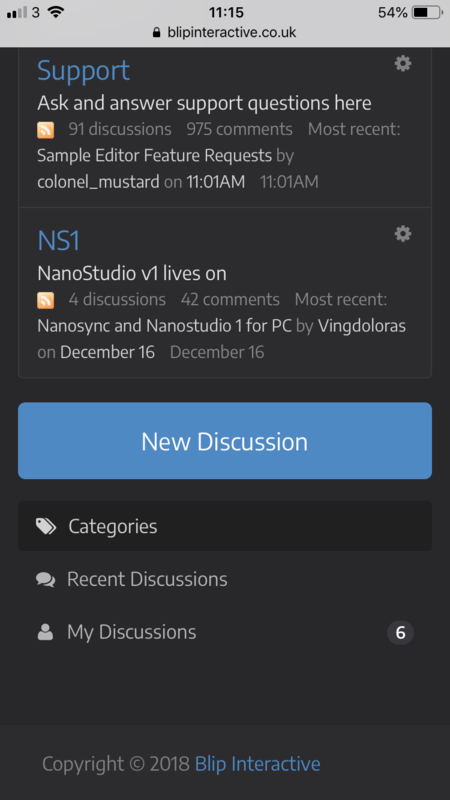 But if any forum mods could get round to looking at this it would make the community forum look more professional and easier to use on phones. Question: this is somwhat OT but could you tell me what SW is being used for this Forum? 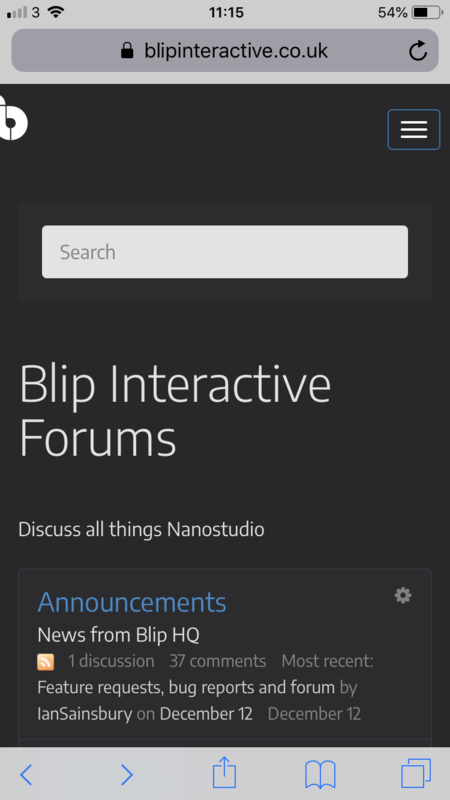 I really dig it and would like to change the Forum SW on my own site, which is currently kind of bland (SimplePress, cause my site is a WP site). Thanks !! I would be very appreciative if we could get the same skin as the desktop on the mobile. Done. It's not perfect either but easier on the eyes.